Sparkle and Shine: Bring on the bling! Everyone wants to look their best when it's back to school time. I always feel like I need to go buy a whole new wardrobe. But lets be honest shall we? No one has that kind of money that day. So how can you add some spice to your look without breaking the bank? Accessories are the way to go! My go to place for accessories is Forever 21. Forever 21 has variety for many different styles and they are also super reasonably prices. So with out further ado, here are my top ten accessories for school from Forever 21! 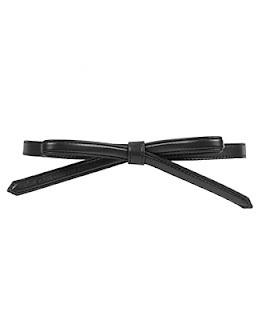 - This belt is not only super cute but also can make major changes to an outfit. Belting a flowy dress or adding it to a tank can change up the whole feel of an outfit and highlight your waist at the same time. Plus how cute it that bow! 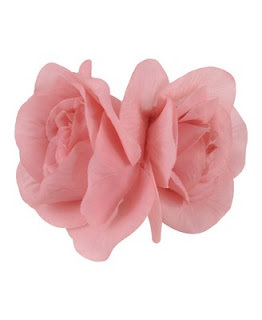 - This hair clip would be super cute on top of a messy side bun. 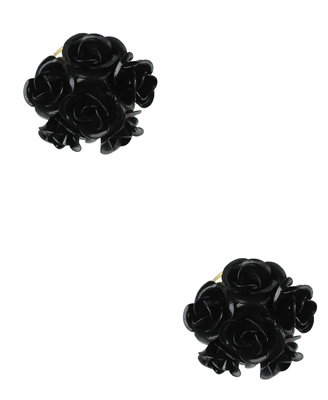 This simple clip adds a touch of whimsy to just a normal outfit. So girly and romantic. 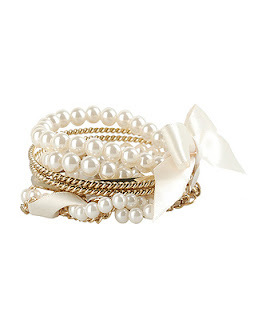 This will make you feel pretty when you wear it. Plus I think this specific color pink will go very well with all hair colors. - This necklace it sorta fascinating to me. I think I would want to play with it a while before I wear. Anyway.... I also think its very pretty. Its chunky enough to make a statement but short enough to be easy to wear. Because its not sparkly of voluminous, it can be worn with any type of look, dressed up or dressed down. I could see it with a pretty sundress or with a tank and shorts. 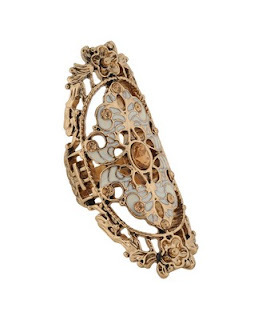 - This is a pretty substantial bracelet and the size might irritate some people, but I think its the perfect piece if you need to dress an outfit up. Because it has pearls and its pretty elegantly put together it will draw the eye and make even simple outfits look well thought out and posh. 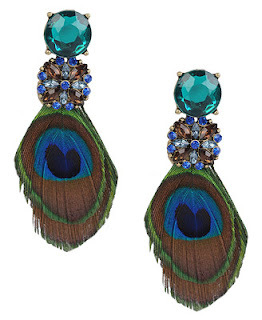 - OK I know I know these are a bit gaudy. However my personal taste does tend to run a bit to the gaudy side. I can see these with a cool black shirt. I have a shirt with cut out on the shoulders and cowl neck that is just plain black that these would look ridiculous with. These will most definitely be making an appearance in my personal collection. - I almost didn't put a ring on here because I don't really feel like a ring can change your whole outfit. However with this ring I will make an exception. When it starts to get chilly and long sleeves come back into our thoughts this ring will be perfect. A light sweater with long tight fitting sleeves will pretty much point straight to this ring. This is so pretty you might just stare at it all day. 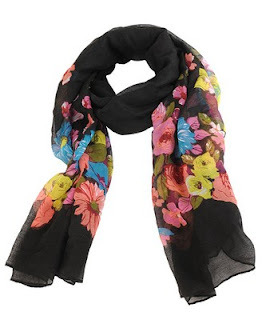 - This scarf is perfect for this time of year because it is sooo light weight. 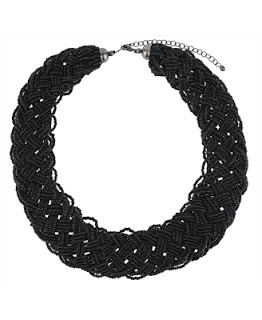 This is going to be a huge statement piece and add alot of color but not make your neck sweat. Which is good because neck sweat is soooooo not chic... seriously... it's not. - I like the idea of a denim fedora because it isn't too dressy and you can wear it to school. I think this hat does look a little masculine so I would wear it with something ultra feminine wither a floral dress or blouse thats a little flouncy. 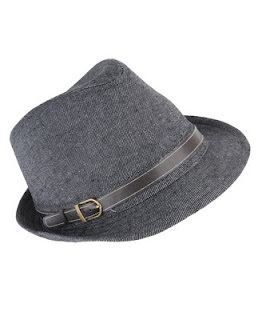 I think this fedora would look good with a low side pony with quite a bit of texture to it. 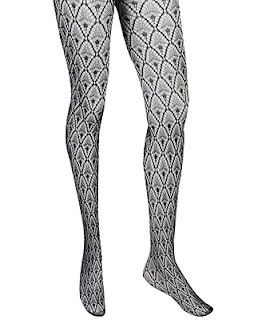 - These tights may not work on everyone. It may be too big of a print for some shorter people but I felt like the print could work on most average height people. I like tights because it enables you to move alot of your dresses from summer into fall. Take any summer dress add a cardigan and a pair of tights and viola! a perfect fall outfit! - I like these because I feel like most people just wear studs everyday and these are studs just a little more elegant and blingy... its that's even a word. These have a little bit of a victorian feel which I really like. Ok those are my top picks for back to school bling!! !